AMMONNEWS - The legislator, a staunch supporter of the Syrian leadership, highlighted the potential benefits of the expected reopening of the border crossing as “the best solution” to revitalise the local economy. “If we look at it from economic, industrial, trade and transport perspective, the best solution is to reopen the border crossing”, Khoury said in a phone interview. According to the politician, reopening the border will help relieve the “Kingdom’s economic crisis by at least 20-30 per cent and 60-70 per cent of the industrial sector’s woes”. Asked if he expected to face an angry reaction from public opinion, Khoury said his main concern is to ensure that the visit and expected meeting with Syrian officials will yield economic benefits for the Kingdom. “At this point I am not interested in emotional reactions. I am only interested in Jordan’s higher interests. The negative responses will change after people see the fruits of economic reinvigoration”, Khoury concluded. For his part, MP Saleh Armouti said the planned visit is “unacceptable”. “The [Syrian] regime has committed war crimes against its people”, Armouti told The Jordan Times over the phone. “What is the goal behind this visit? 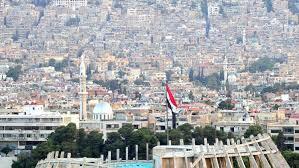 Is it meant to congratulate a regime that murdered its people?”, Armouti asked, who expected that Amman-Damascus ties will remain tense in the coming period. “Jordan is targeted by the Syrian regime,” he said, adding that deputies would be in an awkward situation if the Syrian officials they would meet use harsh language against the Kingdom. Armouti dismissed the potential positive benefits from the visit. “I do not foresee any positive outcomes, let alone the public backlash that is expected as a result “, Armouti said.